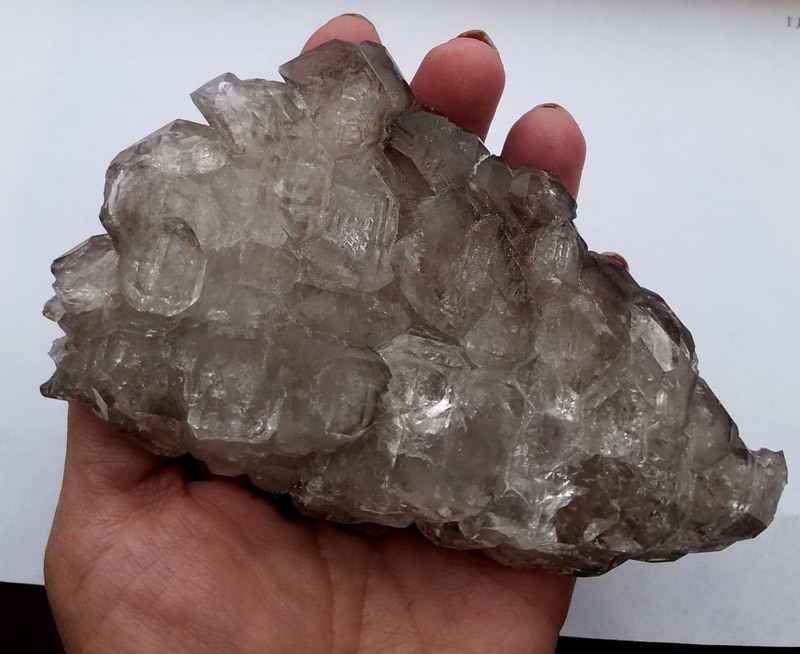 A text book example of parallel growth Smoky Quartz. 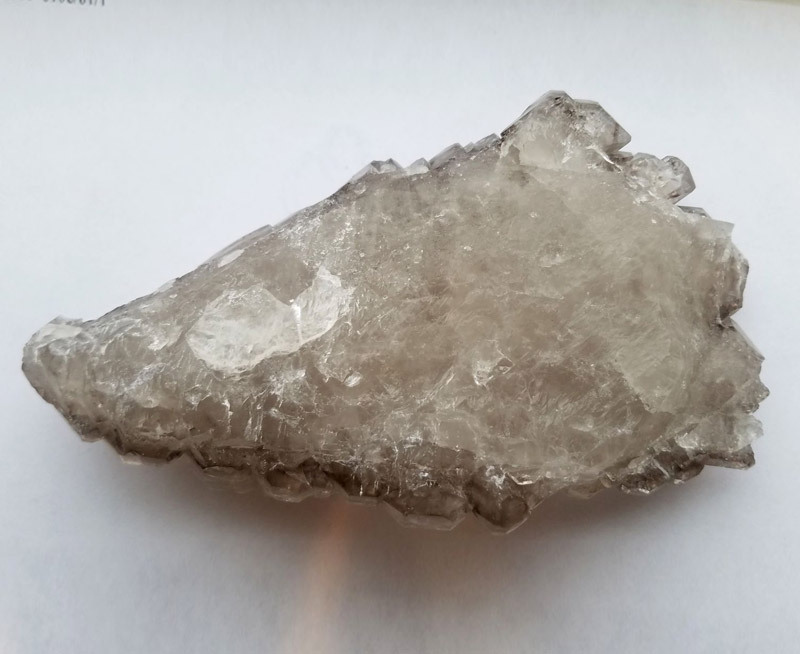 This piece was recently mined from the world famous Mount Mica Quarry in Paris, Maine. 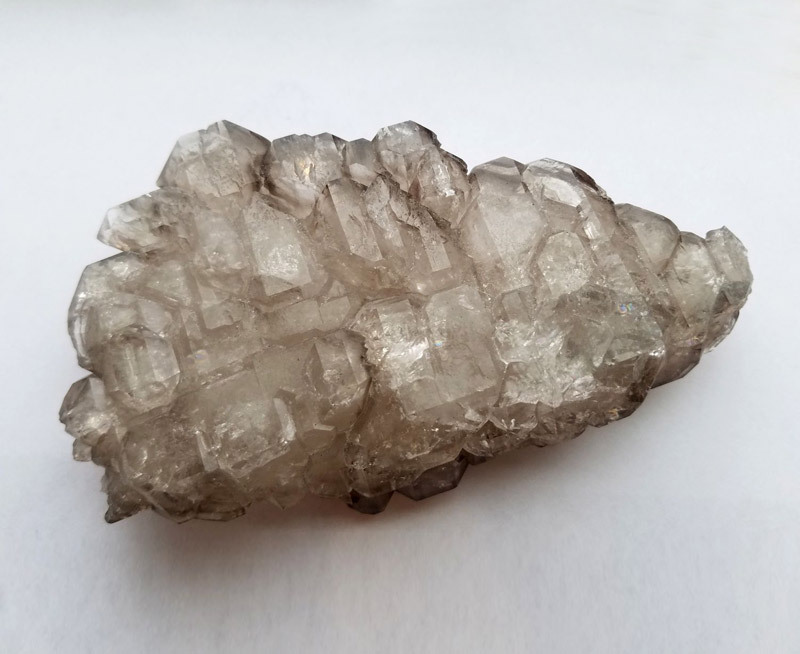 It features a multitude of small smoky quartz crystals, some with an apparent pseudo cubic habit. 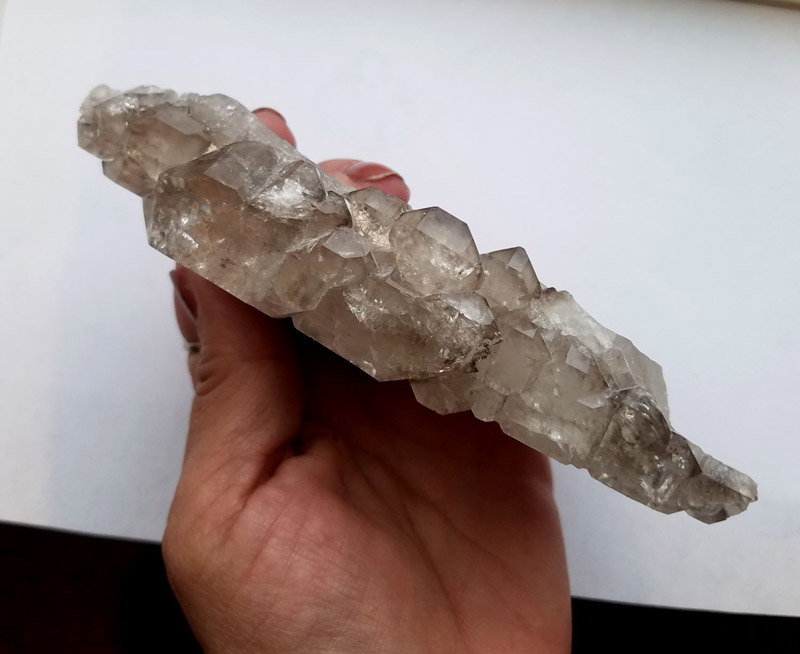 They grew from a larger quartz crystal which shattered at some point and recrystallized. 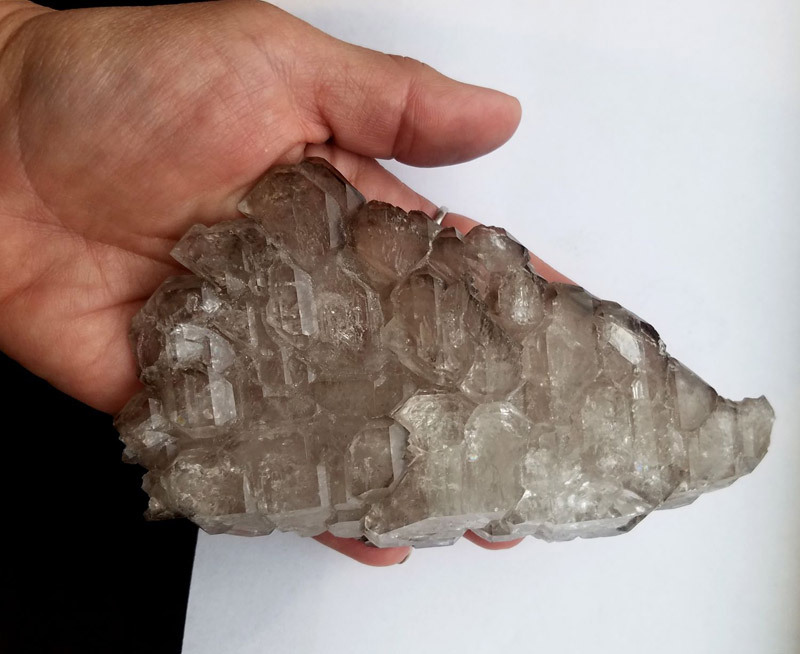 This is a most interesting and unique piece, suitable for any level collection.